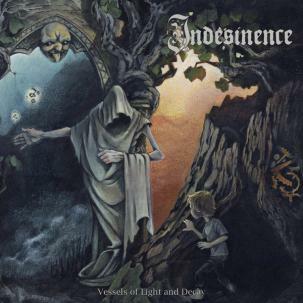 Formed in 2001, London’s Indesinence is one of the few UK death / doom bands (alongside Esoteric) that upholds the classic tradition spearheaded long ago by the likes of Paradise Lost, Anathema and My Dying Bride—forefathers of the genre who have since shed their roots and explored different styles. 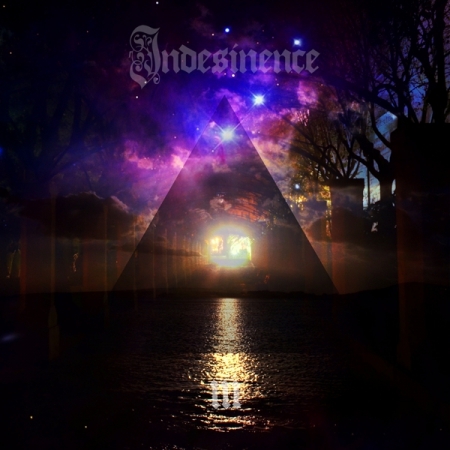 Taking influence from the aforementioned British Big Three (most notably early Paradise Lost) along with other luminaries such as Disembowelment and Skepticism, Indesinence has generated quite the reputation in their homeland. With a career that spans twelve years, the group has put out only a handful of releases: the Ecstatic Lethargy demo, their Noctambulism full-length (Goat of Mendes Records), and Neptunian compilation EP. Vessels of Light and Decay, Indesinence’s long-awaited sophomore album and their first release since 2006, is a full-frontal assault in the spirit of Celtic Frost, Swans, Demoncy and Barclay James Harvest that solidifies their legacy in the death / funeral / doom metal movement. Beautifully packaged in a deluxe hardcover digibook, it is set to make a statement as one of the top albums that the genre will offer all year.